The way schools need to do marketing has changed! It's pretty evident that UK schools, universities, and colleges can't rely on traditional marketing. You need to attract new students and applicants with modern marketing tactics; they're both cheaper and more effective. It's academic! Radio ads, impressive billboards, and local paper advertisements won’t impress parents and students who rely on modern technology. Traditional marketing is expensive, and it's near impossible to track results. Fear not. A new marketing concept called inbound marketing for schools is emerging. It's a less disruptive and more intelligent, affordable alternative. So, what's inbound marketing and how can your school use it to accomplish its goals? What Are Inbound Marketing Tips for Schools? Inbound marketing has been around for many years, but it's now becoming more popular as intelligent academic institutions are learning that it works! It's reversing the psychology of sales and marketing. Think about it like this; how often have you found yourself in a battle with a pupil that didn't want to do something? You push and push, and they don't respond. Instead, you position the task as something with an unmissable reward attached to it, and the student does it. Inbound marketing has the same principle attached to it. Don't chase your prospects, offer them value and watch them gravitate towards the inbound marketing magnet. It's a non-intrusive marketing method that allows you to create conversations with potential students and parents, rather than barking a sales pitch at them. Inbound marketing for schools is about using marketing tactics to bring potential students and parents to you, rather than having your traditional and offline marketing efforts fight for their attention. Educate People for Free; They'll Become Your Students! Share your knowledge online and educate people for free. If you're a private school for students who are paying for your courses, give them a taste of what's to come, as they're probably spending a lot of money. Inbound marketing ideas for schools centre around creating and sharing educational content with your target audience. By creating a marketing strategy to attract students and parents, you'll attract people that show a direct interest in your school, college or university, and keep them coming back for more. You can't teach somebody that doesn't want to learn. And let's face it, who wants to learn something that's shoved in their face? We don't like being told what to do! Who picks their pen up to mark work when ads come on the TV? Who sighs when the music stops and radio ads blare out of your car speakers? When people want to buy something, they have the world's encyclopedia at their fingertips. It's called Google, And it can tell you almost anything! So if parents in your area are searching for 'schools in my area' or college students are looking for 'sports science courses', why aren't you at the top of the page? Position yourself as the ultimate resource for knowledge, and people will come to you with their questions. If you want to get your hands on a resource pack that'll help your school's digital marketing, hit the download button below! 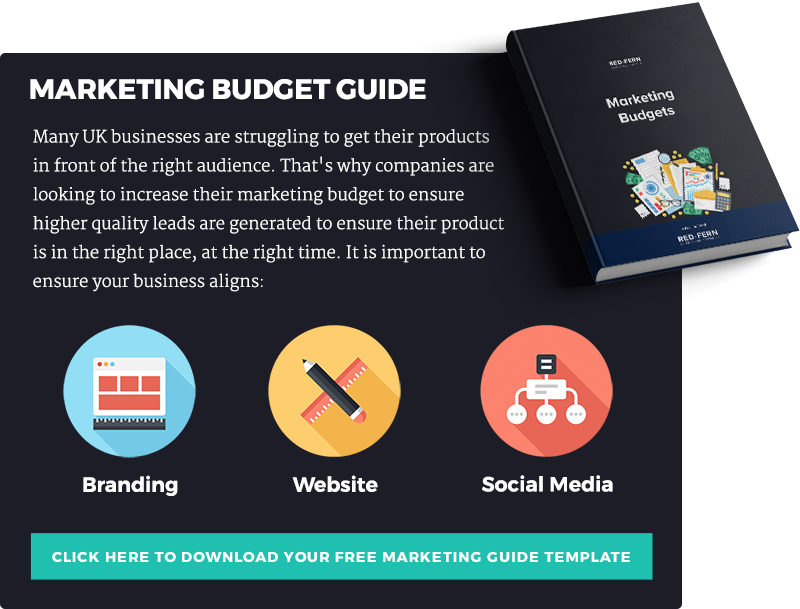 The Ideal Inbound Marketing Strategy Blueprint>Inbound marketing can target potential students and parents who are looking for the services you provide. Also, professional inbound marketers take a strategic approach. They use specific education marketing tactics when targeting people that will be looking to enrol in school or further education. With a strong emphasis on digital techniques, inbound marketing allows its users to choose the most suitable approach to achieve their goals. As someone who works in the education sector, we're sure you'll appreciate some theory (we agree, it isn't boring!). So if you want to succeed with inbound marketing, pay attention to the following principles. Before you start using the inbound method, you need to focus on yourself. What type of learning space do you offer? Why do you do it? Who does it? What are your employees like? Teachers from public schools are different from university professors. Once you've analysed yourself, you can begin to examine your prospects. You could conduct surveys, use the information you have in your database, and use some educated guesswork. Ask questions like where do they come from? What's their income? What's their occupation? Go deeper than demographics. If you run a secure home for troubled teenagers, circumstances like having a troubled family life or addiction problems could be a part of your buyer persona. What problems do your prospects need solving? If you know parents in your area are struggling to find high-quality schools, could you tell them what they need to look for? What's the culture like? The academic results profile? Attract them by giving them the answers, but only if you can solve the problem. If you develop this mindset, you're one step closer to achieving your goal. If you can get people to your website looking at the answers to the problems, great! But you need to capture their details so you can send them more learning resources. You should have a form they can fill out, ideally with a premium content offer. You could offer parents a free playbook to fill out with their kids, asking questions about what they want a school to provide. If you manage to build a relationship with your prospect, you should be in the hat when it comes to decision-making time. Own your opportunity to shine. You could schedule meetings or offer campus tours, whatever you do, show value! When you've got your prospect on board, don't get complacent. You should still offer value; they could reccommend you to their friends. Think about what you offer after someone has signed up to your curriculum. Although most want stability in education and don't move around freely, you still want to keep students happy, so your reputation continues to get better. You know the four stages of the inbound methodology, but what about the psychology of the prospect? For this, we reference the buyer's journey, which shows the path a buyer takes before signing up for a service. For more information on the buyer's journey, read our article on how buying behaviour is changing. How Do I Do Inbound Marketing? Your school’s blog is one component of a complex structure. Successful inbound marketing is all about top-quality, relevant and planned content. It's similar to a yearly curriculum; you plan what you're going to teach, along with when and how you'll deliver it. When it comes to planning content marketing strategies for schools the possibilities are endless. For instance, you can come up with a series of useful guides for both parents and students. Or, you can create a personalised user experience by getting potential students to enter their first and last name, and an email address to download a personalised prospectus, which they download as a pdf. By creating a targeted, personalised user experience, you're inviting people to invest in your school's brand. You should start creating a strategy, so you aren't posting random blogs with no pathway to other resources on your website. For example, if you're making a strategy about OFSTED inspections, you may want to link to a page that describes how amazing your report is. You'll also want to link to other blogs in that strategy. Running a blog is one of the most effective inbound marketing methods that gives you a platform to post your content. Your blog should include the target keywords your prospects are using when typing keywords into search engines. If a content strategy is your curriculum, your blogging portfolio is the content you'll be teaching. Blogs are an essential tool, they provide useful information to everyone connected to an organisation. Teacher Toolkit offers advice to parents and teacher, with resources like what to do with your kids in the holidays and 5-minute lesson plans in various languages. There are many topics a school can blog about. You can cover almost every single aspect of student life. UK schools that blog can expect to generate more than 65% of leads (people who enter contact information on your website) compared to those that hesitate to launch a blog. To get your blog content appearing in search engines, you need to optimise it. A school or university with good SEO has a better chance of appearing in top search results compared to those that don't. If you think that the importance of a first page ranking on Google's search results is overrated, you should know that almost 75% of internet users never visit the second page. SEO focuses on optimising your content organically, which is free (unless you can't do it yourself). Google-sponsored ads always appear at the top of the page, and it's a great way to bolster your website traffic. Creating a successful social media campaign is much more than launching an official Facebook page for your college or university. You need to stamp your presence on major social networks. Furthermore, the best way of discovering the true power of inbound marketing is to combine two or more methods. For example, you can combine social media with content marketing, posting images or videos to your profile. Or you can share your blog posts on your social media accounts, such as Facebook and Twitter. According to the findings of the Content Marketing Institute, 8 out of 10 internet users like to read blogs. What’s more important is the fact that almost one-third of the total time spent online is reserved for social media. Are you posting your content on social media? Video content plays an important part when developing a marketing strategy to attract students. Video represents the future of social media and advertising itself. You’ve probably read the news about Facebook’s investment worth hundreds of millions of dollars in video production. It’s only a matter of time before videos become the most dominant online form. When you create videos associated with your school, you open a powerful communication channel that can be used to attract new students. The overwhelming majority prefer visual content as a way to learn. That’s probably the main reason why a web page with a video gets 95% more views compared to the one without video forms. Appeal to a New Generation! Inbound marketing presents an excellent opportunity for UK schools to achieve their advertising goals in a digital environment in an efficient and a cost-friendly way. New generations appreciate a digitally-driven approach and award their trust to UK schools that are up-to-date with the latest trends and technology. Investing in inbound marketing for schools ensures an increased number of new students for your school, college, or university.